Well i should have posted this recipe on Sunday a couple of weeks ago during our Eurovision hangovers, but it took me longer than i thought to get over the beards, booing and breasts… (Really Poland..? REALLY?) BUT I PROMISED I WOULD BRING YOU A RECIPE AND FINALLY IT IS HERE! For those who know me well, i consider myself a foodie and a secret chef. I’m actually not that skilled a cook, but somehow seem to have possessed my Dad’s knack for putting a meal together. So I thought it was about time I start sharing the foodie love and put some very simple and massively yummy recipes on my blog. And so without much ado, i introduce my FIRST EVER MEAL for your enjoyment! Start by setting your grill to a medium heat, and begin by slicing your ciabatta into 2cm thick slices. Slice your baby plum tomatoes in half and roughly chop your red onion. Place your slices of ciabatta on the grill to toast slightly. 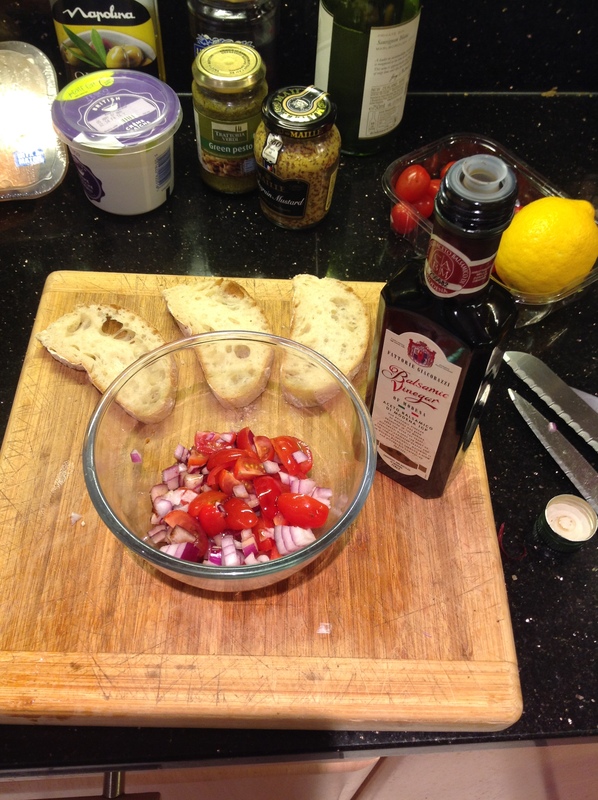 Mix your tomatoes and red onion with the balsamic vinegar. 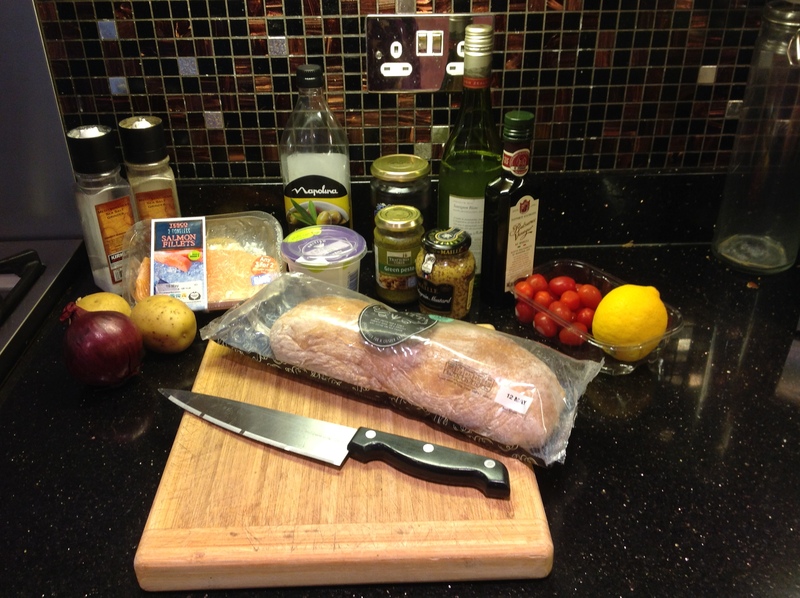 Once the ciabatta is slightly toasted, present on your plate topped with tomato and onion mixture. 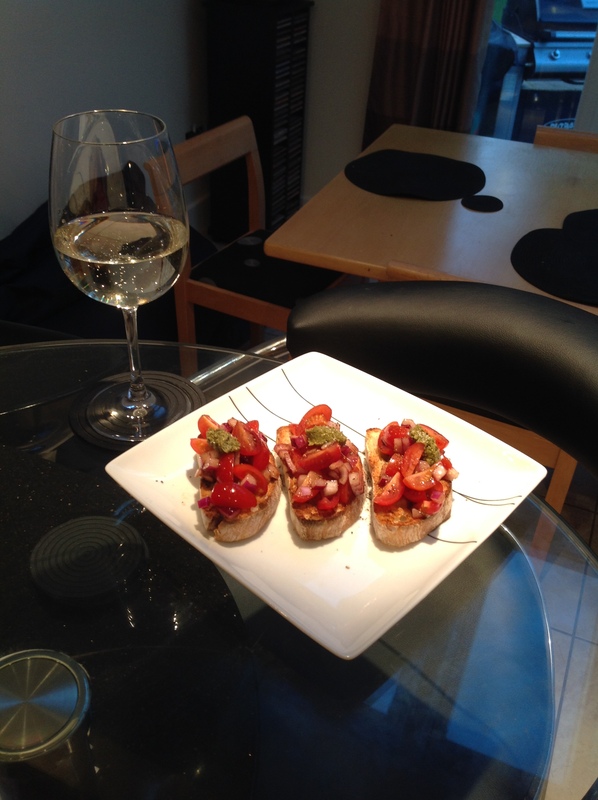 Top with a small dollop of bruschetta and season with salt and pepper. Grease some foil with Olive Oil, place your salmon within the centre dressed with lemon slices, and create a parcel. Meanwhile, place your peeled, chopped potatoes into some boiling salted water. 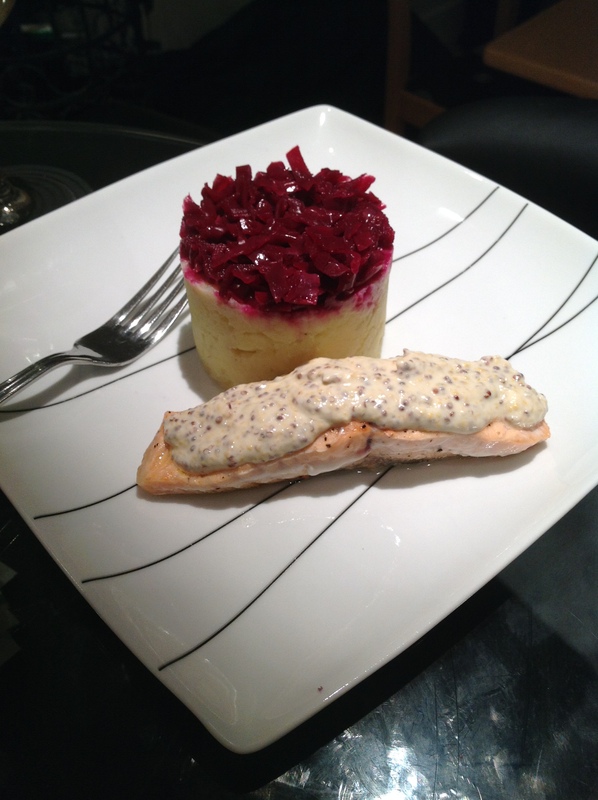 Whilst the salmon and potatoes cook, place your wholegrain mustard and creme fraiche in a pan on a low heat, and slowly melt to create a thick creamy sauce. Place your foil-baked salmon on the plate and top with your mustard cream sauce. SIMPLES. Enjoy my little chickens! I hope this inspires at least ONE person to get chef-fy this coming bank holiday – Who doesn’t want to impress with this easy dinner for a lazy summer weekend? Please feel free to send me your comments on the recipe and share your pictures. What else have i been writing? The What If? Diary’s Guide to Getting Over It.